Europe’s online grocery Top 10 will remain dominated by mature multichannel players — and Amazon will need to acquire its way in. 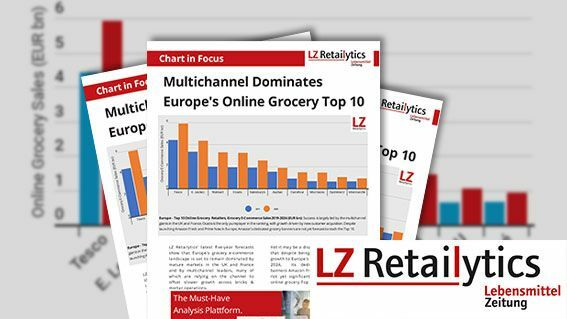 For the next five years, Europe’s online grocery Top 10 is set to remain dominated by multichannel retailers from the UK and France. As it matures, e-commerce continues to offset slower store sales for these retailers. Missing from the ranking is Amazon, with dedicated online grocery banners Fresh and Prime Now not yet forecast to reach the top 10. However, that could all change if Amazon acquired a European grocer.